A delicious rice bowl that uses cauliflower rice instead of regular rice. As you may know, we’re doing a whole series on riced cauliflower. We’ve already shown you how to rice cauliflower. 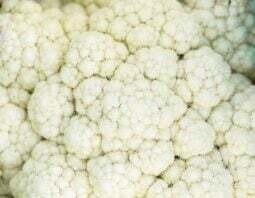 That means taking a head of cauliflower and getting it into tiny little pieces that cook quickly. Then we showed you how to make cauliflower rice. This is, essentially, the crumbles of cauliflower that are cooked such that they seem like cooked rice. 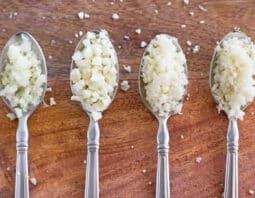 Now that you know all that, I thought it would be fun to show you a great way to use your cooked cauliflower rice. 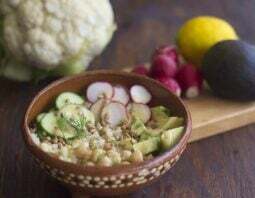 This recipe is a rice bowl (the kind of thing you might order at Chipotle) that uses cauliflower rice instead of rice. What you’re going to do is make up a batch of cauliflower rice as discussed above. Then you put it into bowls and top it with all kind of stuff. You can go in a Mexican direction and make it Chipotle-style. Or you can do something totally different. I went with totally different. 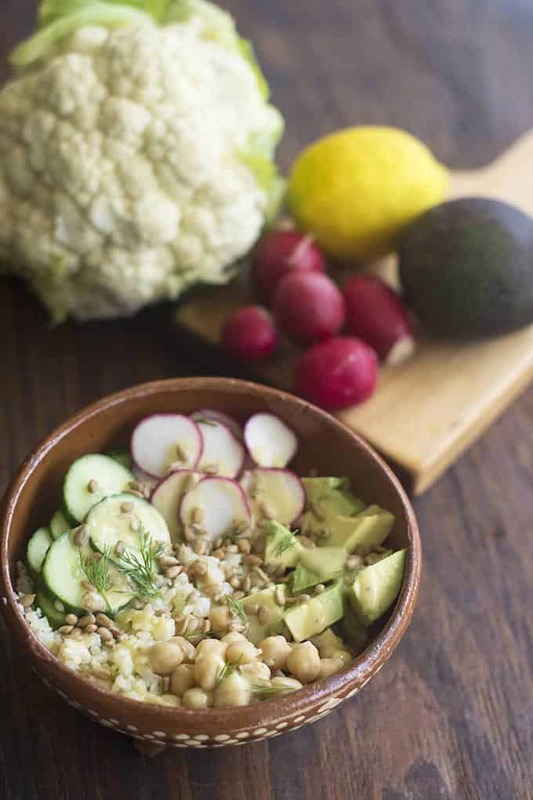 This not-rice rice bowl has chickpeas, avocado, cucumber, radishes, sunflower seeds and fresh dill. The most delicious, and frankly amazing, part of this recipe though is the dressing. It’s literally just hummus, olive oil, lemon juice, salt and pepper mixed together. The oil and lemon juice thin down the hummus into a dressing consistency. The result is crazily delicious. Warm a large skillet over medium heat. Add 1 tablespoon of the olive oil and heat. Add the cauliflower, stir, cover and reduce heat to low. Cook until soft, about 5 minutes. Remove from heat. In a small bowl, whisk together the hummus, remaining 1/4 cup olive oil, lemon juice, salt and pepper until smooth. This may take a minute. Divide cauliflower among 4 deep bowls. Top with chickpeas, avocado, cucumber and radishes. Divide hummus dressing among the bowls. Top with sunflower seeds and dill.